The past weekend was really all fun and games. I should have mentioned earlier that this month is really busy with birthdays and engagements. And I can’t forget Halloween!! We had a birthday dinner for Susan on Thursday, bowling with an expiring Groupon deal on Saturday, a quick run to Ikea to return the six rolls of carpet, a “Meet the Families” dinner on Saturday night, and Wine Tasting on Sunday. 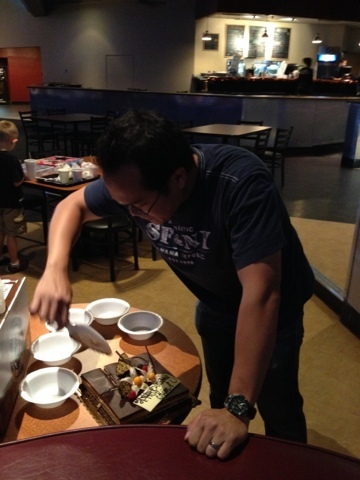 Diana wanted to get KT a cake for his upcoming birthday so we had tiramisu from Porto’s at the bowling alley. YUM YUM YUM. Thank You Diana! 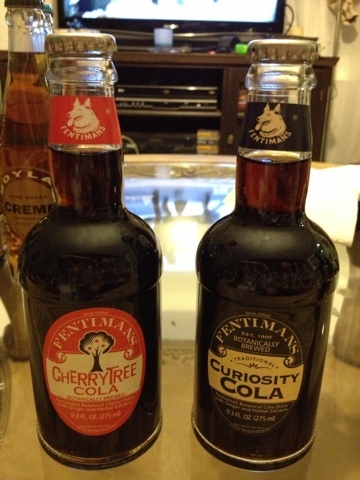 Since I didn’t want KT to have a birthday cake without presents even though it was not his birthday yet, I decided to give him his first present – a dozen old fashion soda pops! These two are his favorites. 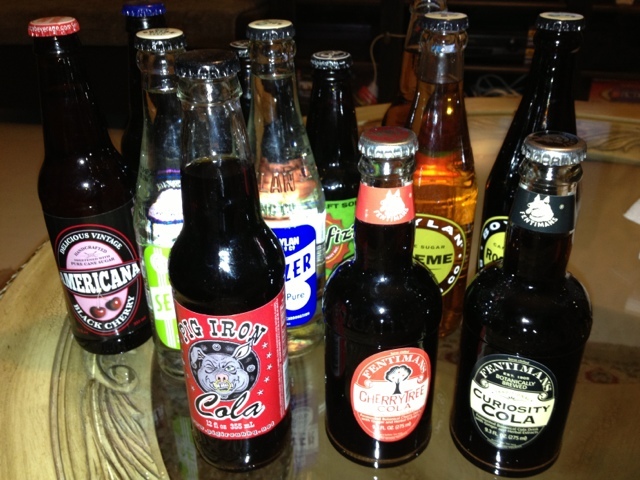 I got them all from World Market. 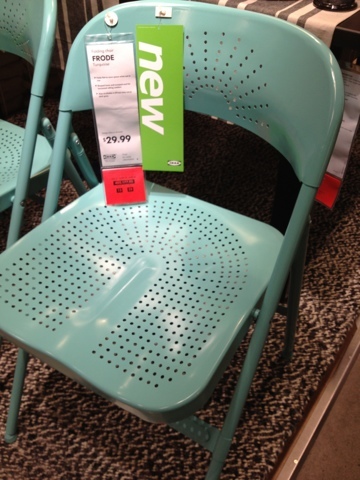 At Ikea, I spotted this baby blue chair. So pretty. Color really does make a world of difference. Otherwise, this would be just another spare metal chair for when there are too many guests and not enough chairs. “Meet the Families” dinner was delicious. Thank You Philip’s mom, Priscilla! 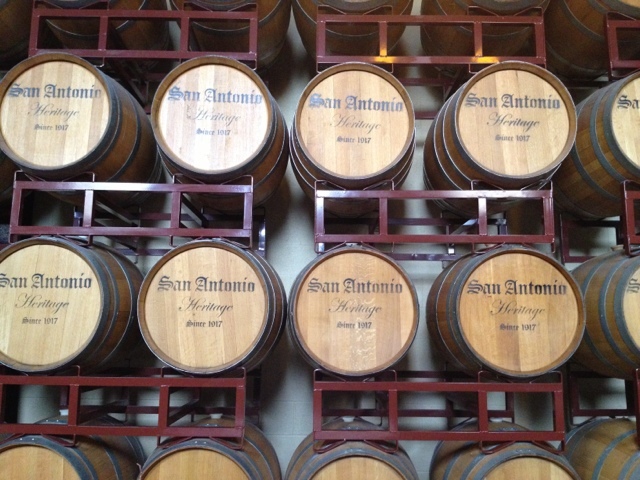 On Sunday, we went to San Antonio Winery, right here in the heart of LA. We took a tour and boy, I learned so much. Did you know that there were wineries right here along the LA River before the Prohibition of 1919?? Crazy I know. San Antonio Winery is the only one that survived. That answers my burning question “Why is there a winery HERE?” every time we pass by it on the freeway. This shot is a good representation of the past and present of the fermentation process. 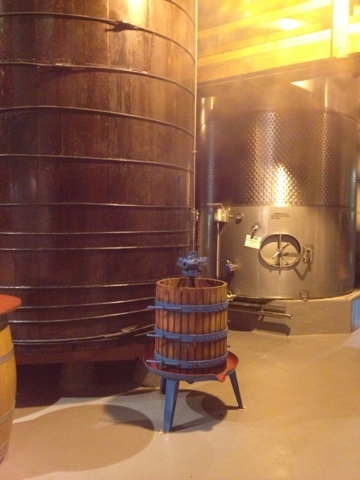 The huge wooden barrel on the left is the original at San Antonio with 95 years old redwood and is no longer used. The steel vat on the right is being used today. Not sure about that little wooden barrel in the center of the picture. 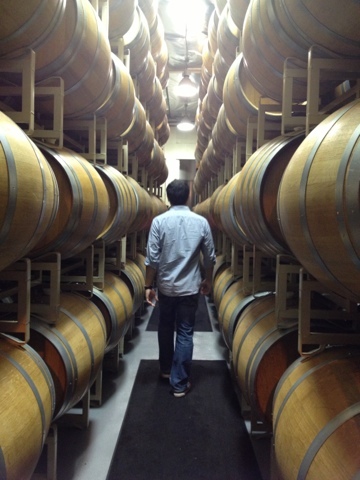 After fermentation, the wine is aged in these oak barrels. French oak apparently creates a more fruity wine whereas American oak provides more vanilla and woody flavors/aroma. 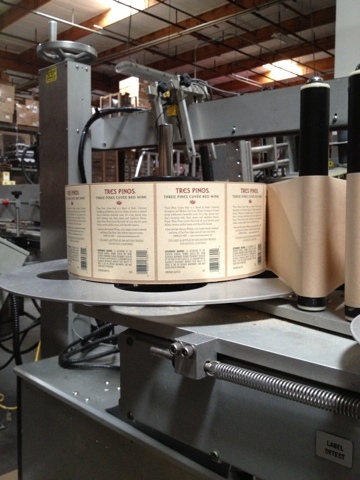 Finally wine is bottled and labeled here. We left with six bottles of wine. =) We’re happy. This entry was posted in Weekly Progress.